I have a Corel Aftershot Pro software, that i use a lot. Its commercial. 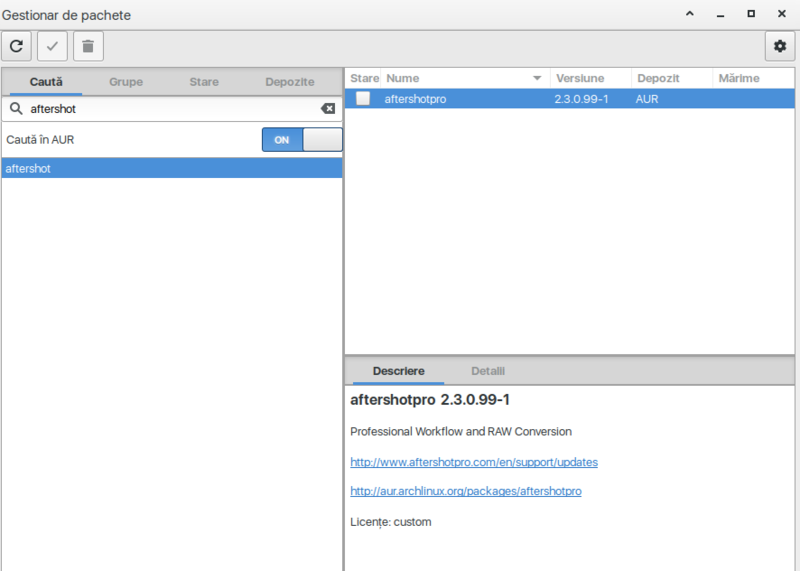 In Corel’s web page i can download aftershot in 2 formats (for linux) - deb, and rpm. Is it any way to install that soft in Antergos? Corel After Shot Pro is available via AUR. in GUI i find nothing (dont know why), but with yaourt - aftershop is available. Thx for tip, for help! pamac GUI works with AUR, too. It’s not enabled default, just that (Settings -> Preferences).